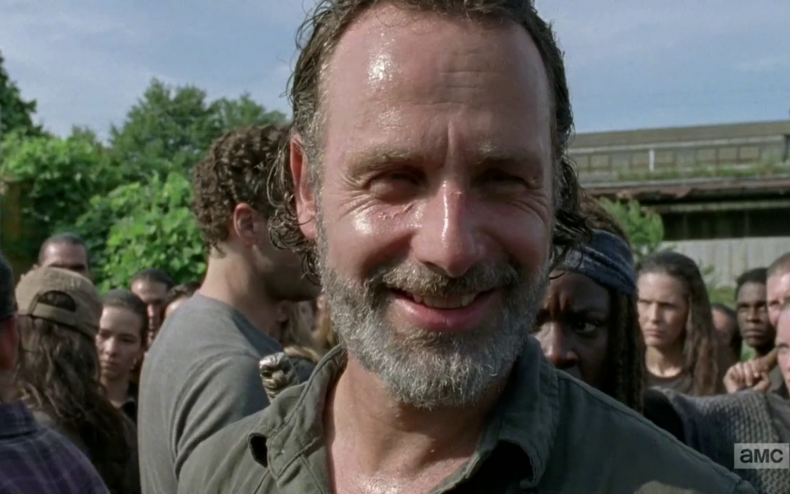 So out of nowhere Rick and his team become surrounded by dozens of surly-looking people, some carrying weapons….and Rick’s response right before the show cuts to black for the week is a big fat smile. What was THAT about? TWD executive producer Greg Nicotero, who also directed this week’s episode, explained to EW what was going through Rick’s head: after rejections from both the Hilltop and the Kingdom, he thinks he may have found a better option. “It’s the perfect ending for the episode. You know, we see him at the beginning, he’s pretty dedicated to putting an army together. He needs people to fight, so he goes to the Hilltop. He has a loss with Gregory, but then he has a win with Maggie. Then he goes to see King Ezekiel, and the king was not necessarily willing to fight, but Rick knows they’re there. Then they find all the explosives on the freeway. 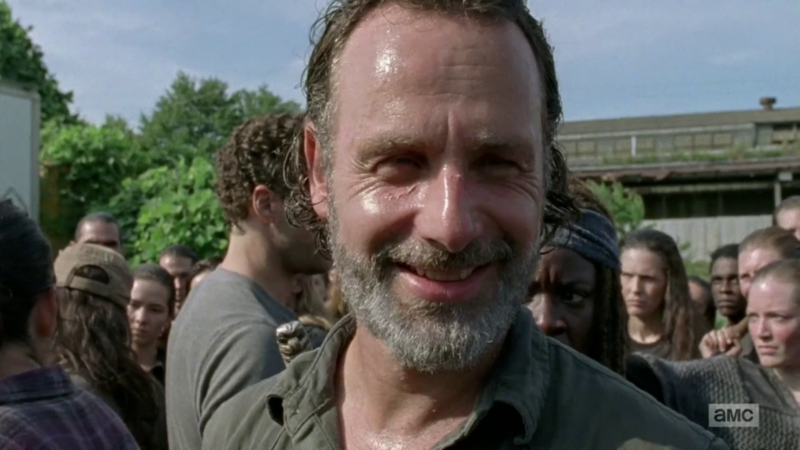 So the whole episode is really based on that series of wins and losses for Rick, but Rick’s not giving up. Gimple also hints that “there’s tough stuff in the next episode but there’s straight up fun and attempts are made at humor from the situation that these characters get in. A whole new world is discovered. It’s a cool turn of the story.” What truly happens next will be revealed next Sunday at 9.